Do you have nit-picker’s disease? Things you write – in this case, your résumé – are never quite good enough, never quite done. How can you be cured of that disease? You’ve heard it all your life, your parents would tell you it’s not a good idea to brag or boast about things you’ve done. Others don’t like to hear it, because it sounds too much like pride. That was good advice when you were a kid. But does it hold true when you’re creating your résumé? To brag or not to brag? God has been weaving your résumé, and building your skill set with every job you’ve held. Even now, in your job search, He is doing the same thing. He is building your skills to enable you to make a unique contribution to His adventure. Do you sometimes feel like you are different from everyone you know? Do you sometimes think you are completely out of step with those around you? Does it seem like you are viewing the world from a totally different perspective? That’s not bad, make your job search unique to you and stand out in a crowd. 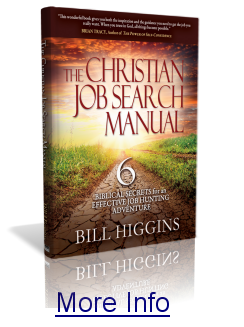 If you see your job search as more of a partnership with God in His adventure, as a collaboration requiring your energy and His behind-the-scenes directing, and as an integration of your ingenuity and His power, then you will be able to take the more humble approach recognizing you simply cannot do it on your own. 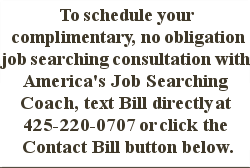 In a job search, the resources you have available to you can make all the difference in whether your search is long or short, effective or ineffective, challenging or gratifying. Here are some resources that are helpful when conducting your search.